Cowboys & Aliens co-writer/producer Roberto Orci is one of the most prolific and successful screenwriters in Hollywood right now. With Cowboys & Aliens in post-production, Fringe renewed for a fourth season, the Star Trek sequel, Enders Game - and a bevy of other films all in development - Orci does not have much in the way of free time. Luckily, we were able to sit down with the scribe in a select roundtable press interviews immediately following the Cowboys & Aliens panel at WonderCon. In regards to Cowboys & Aliens, Orci spoke about the learning curve he faced within the framework of the Western genre, the recent resurgence of said genre, and the unique pleasure of having a portion of your education derive from having Steven Spielberg provide a live commentary during a screening of The Searchers. Q: Can you talk about combining the visual legacy of Westerns with that of aliens, given that the aliens in question are evocative of Close Encounters. Q: How much design of the aliens came from the script, and/or how much did the script shape what the aliens looked like? "We prescribed things that had to happen in the script that therefore give you some sort of physical basics, but no amount of description in the script could ever get close to...They have to fulfill the function that we lay in there, but it’s really the artists who take it to another level." Q: How tough was it to combine Westerns and aliens? "It’s tone, because again, this started as a comedy back in the day, in ’96 or whenever this first started getting developed – it was kind of a comedy script, kind of like "Men in Black" or "Wild Wild West." So it’s very easy to go that way, and then when we came on, it was very easy to get too serious, and so the next draft gets funny, and you’re sort of [going back and forth] until it’s just right, hopefully. So it’s tone, really, is the biggest hassle of it. Making sure you have taken pains to set up a world realistically enough that when this other genre interrupts, that they’re reacting like you would. [As if they were experiencing a biblical, or demonic event.] In fact, I’m not sure the word “aliens” ever appears in the movie or it was ever uttered out loud." Q: As we have seen in films like Wild Wild West, the combination of sci-fi and Westerns can sometimes be unwieldy. Did you have to be conscious of that (potentially) questionable combination? "Tone is half of it, but you want to think about it from the beginning, the DNA of it, and that’s why we made the decision to treat the Western like this movie could go on, Harrison and Daniel versus each other and the town in between - that could be a movie. If aliens didn’t land 10 minutes into the movie, that movie could keep going." 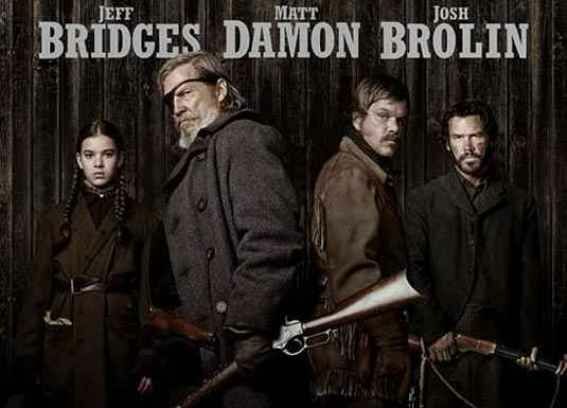 Q: Was the appeal of this project combining your interest in Westerns with subject matter that’s commercially viable as it was for director Jon Favreau? And do you think C&A will benefit from the recent resurgence in Westerns? "Luckily there’s been a resurgence in Westerns – it’s crazy. I mean, like, you saw what "True Grit" did, and that was a huge surprise, and they don’t even have aliens in it! So that’s a lucky thing, and hopefully that will take, because when we first got this movie up and running, one of the big barriers was, well, Westerns they say don’t travel well internationally, and it’s not exactly a vibrant genre in this country, so that’s been a lucky thing. But Westerns, I was not a student of them, really. Sci-fi, yes, but I’d have to go back and sort of watch Westerns and send myself back a little bit to film school to prepare for this. For me, it was a challenge of, audiences are so savvy – they’ve seen everything, and so my draw was just doing something they haven’t seen before, even though the Western part of it for me was daunting in terms of 'I’m going to have to learn this now.'"